Why Buy a 2016 BMW X3? The 2016 BMW X3 is one of the most technologically-advanced SUVs on the market. Even the base model comes standard with several ingenious features. The SUV’s good fuel economy rating makes it a great alternative to a family sedan. While the standard FWD system will allow buyers to lower the BMW X3’s total cost, the AWD system is a must for the drivers who experience heavy snowfall. BMW also offers several high-tech safety components for the new X3. In terms of styling, the 2016 BMW X3 has been tweaked to exude a more refined appearance. BMW brings a new Mobile Office system to the table as well. Prospective buyers can save a lot of cash by sticking with the base power source. Fortunately, the standard engine is a very strong performer. The turbocharged 2.0-liter, four-cylinder motor pushes out a peppy 240 horsepower and 260 pound-feet of torque. An automatic engine start-stop system raises the fuel economy rating to an efficient 28 mpg. The diesel-powered X3 has the versatility that a lot of today’s drivers are seeking. Fitted with a turbocharger, the optional diesel engine develops 180 horsepower and a whopping 280 pound-feet of torque. During real-world driving, the engine pulls hard at all times. In terms of fuel efficiency, drivers can look forward to averaging about 34 mpg on the highway. For the drivers who are addicted to power, the xDrive35i model will definitely get them excited. The turbocharged V-6 engine is able to pound out 300 horsepower and 300 pound-feet of torque. According to some people, this engine is actually more potent than the numbers indicate. When track-tested, the speedy xDrive35i recorded a 0-60 mph time of only about six seconds. The 2016 BMW X3 is more than just a good-looking SUV. It also has the ability to work hard. When fitted with the proper towing equipment, the X3 can tow up to 3,500 pounds. This is a big advantage for the owners who have a small boat or an ATV that they need to haul around on a regular basis. A front-wheel-drive platform comes standard on the X3. However, the xDrive AWD system will come in handy when the going gets tough. If the driver encounters a slick spot, the AWD system helps to keep the SUV from losing traction. While the X3 is not designed to tackle extremely rough landscapes, it performs excellent in the snow. All versions of the X3 are quite nimble. However, the Dynamic Handling package enables the SUV to handle more like a sports sedan. The Dynamic Damper Control can automatically adjust to changes in the road. To further improve the X3’s cornering ability, the AWD system has been tuned to deliver an even sportier performance. A revised front fascia enhances the SUV’s overall styling. When approaching oncoming traffic, the X3’s signature BMW grille helps separate it from the crowd. Meanwhile, the optional 20-inch wheels give the X3 a very aggressive stance. Due to the SUV’s stout design, it mimics the road presence of a four-door sports car. Like most BMW vehicles, the X3 offers an extremely nice interior. The SUV’s race-inspired gauge cluster features a straight-forward design, which a lot of drivers will appreciate. Everyone in the crew will be able to enjoy the ride without feeling confined. Folding the rear seats down increases the total cargo capacity to more than 63 cubic feet. BMW’s new Mobile Office feature allows the driver to quickly access emails and important phone numbers. When taking a rest break, the driver can also check the weather and get updates on the latest news to hit the airwaves. The Mobile Office feature is especially great for the motorists who are always on the go. The Driver’s Assistance package outfits the new X3 with several active safety features. A special camera provides the driver with a real-time view of the entire surrounding area. Some of the other items include a blind-spot monitor and a lane-departure warning system. With a starting price of $39,500, the base model is well within the reach of some car shoppers. On the other hand, the xDrive35i model costs almost $60,000. Due to the fact that the X3 is such a sporty SUV, some buyers may wish for a manual gearbox. Unfortunately, the eight-speed automatic transmission is the only available choice. Drivers should not attempt to travel on a very treacherous terrain. The new X3 is not equipped with any off-road gear. Some of the X3’s primary rivals include the Range Rover Sport, the Infiniti QX60, and the Porsche Cayenne. The BMW X3’s sporty driving dynamics help it to beat out the competition. Furthermore, vehicles such as the Range Rover Sport deliver subpar fuel economy. 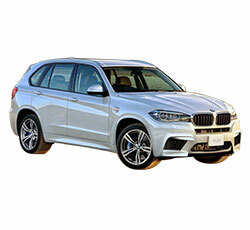 The BMW X3 is a superb SUV that offers an exciting driving experience. The base model is a very good option for a lot of people. 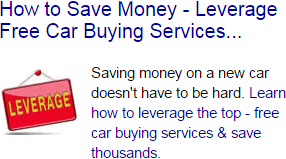 However, the drivers who have some extra cash may want to splurge for the top-of-the-line xDrive35i model. When fitted with the adaptive suspension system, the X3 can rival the performance of a sports sedan.